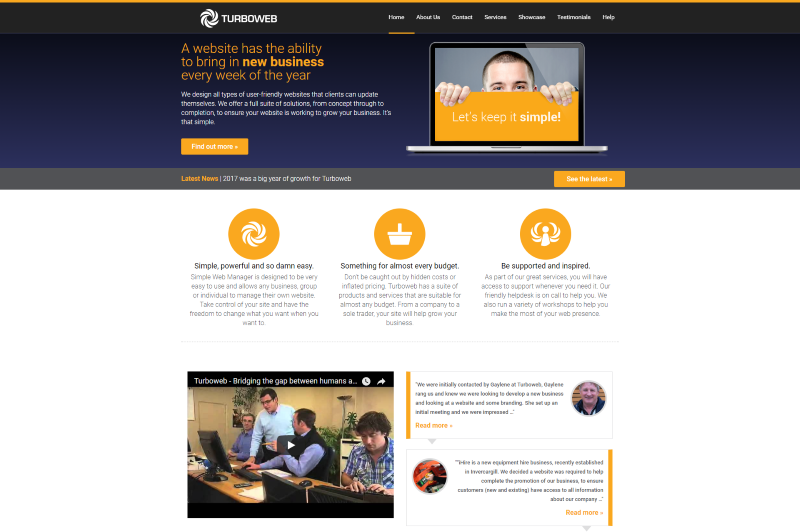 Turboweb build websites and online solutions New Zealand wide. Located in Dunedin, Turboweb pride themselves on speaking plain English (no jargon here) and walk clients through the whole process of getting their business online, offering a solution that is super easy to manage. 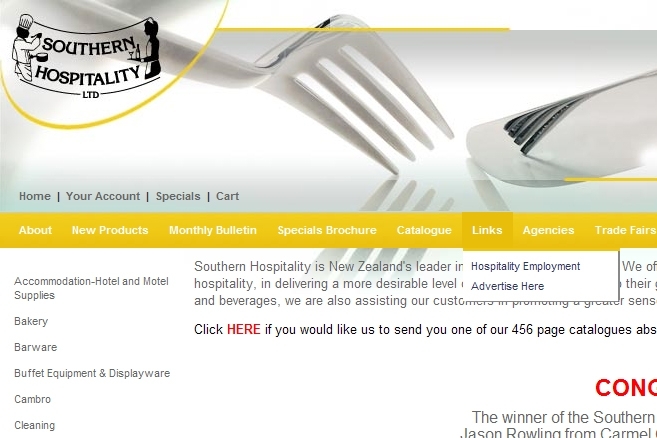 Southern Hospitality is New Zealand's leader in the Foodservice Industry. They offer more than just foodservice products, they believe in enhancing the ability of those who provide hospitality, in delivering a more desirable level of comfort and enjoyment to their guests. By providing products and services which add value to the preparation and presentation of food and beverages, they are also assisting our customers in promoting a greater sense of ambience. 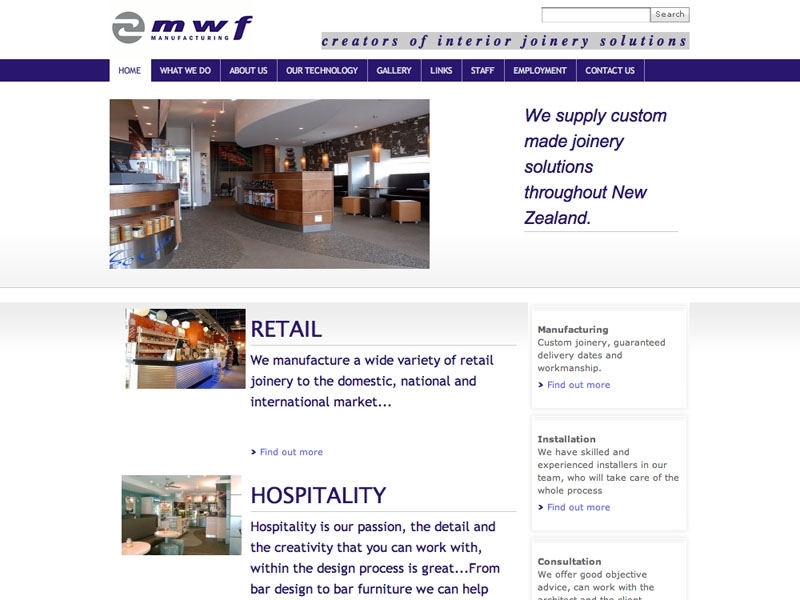 MWF Manufacturing Ltd supply custom made joinery solutions throughout New Zealand. Project Stainless have supplied Stainless Steel on several MWF projects, and the combined results have been excellent. At Masterwood, we believe we can give our clients the confidence to purchase joinery from a top quality local manufacturer. This may be for their holiday home or house of residence, with Masterwood there is no need to look outside the Queenstown area. Masterwood uses up-to-date machinery and technology and can deliver top designs. We cover all joinery requirements from windows, stairs, doors, units and kitchens. We are a joinery one stop shop. Southern Engineering Solutions Ltd operates from modern well-equipped premises located in Christchurch, New Zealand, focussing on markets throughout New Zealand, Australia and Asia. 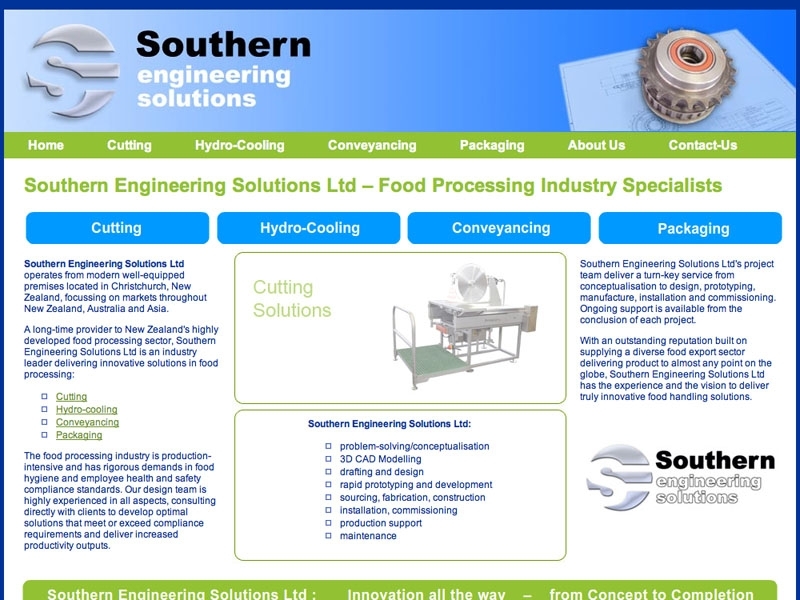 A long-time provider to New Zealand's highly developed food processing sector, Southern Engineering Solutions Ltd is an industry leader delivering innovative solutions in food processing.